The ABG Minister for Public service and member for Atolls, Raymond Mosona has called on the Bougainville Public Servants to be committed to work and make sure they get their pay for the time and efforts they put into their work. 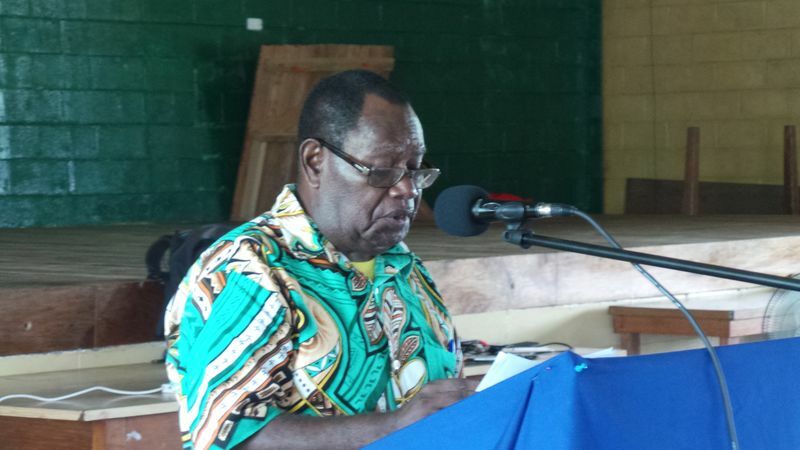 Speaking at the Dedication ceremony for the Bougainville Public service in Hutjena, Mr Masona a former Public servant said that starting work on PNG Time and Finishing on Bougainville Time is been dishonesty and getting paid for hours that are not to be paid. Mr Masono said although, the public service is not meeting some needs of the Public servants, it does not mean that they should use this as an excuse for coming late for work.